It may not seem like it when you’re stuck in a long line at the store or on hold with customer service, but life is short. And in this short life, a lot of your time is spent at work. At FootePrint Marketing, we explicitly value making work fun. Given our experiences, we know it’s possible to meet business objectives and have loads of fun. Not only is it possible, but at this point, it’s in our DNA. Our fun inspires our great work. Having fun should not be difficult. Some of the simplest things – like the Slinky – can bring us the most pure joy. 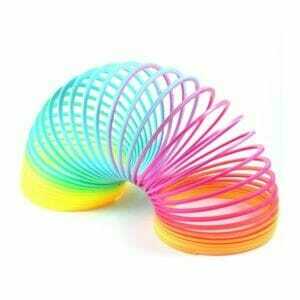 The Slinky is simple enough for even the youngest child to get a kick out of and can always be turned to when you need a few moments of levity. We like to think we’re the same way, as we have fun while providing top-notch marketing for our clients and never take ourselves too seriously. Partnering with us to market your product or service is a no-frills experience, as our lack of overhead and bureaucracy allows us to flex to meet your needs. As our website shows, at Footeprint, it’s all about you. You don’t have to take our word or their word for it. Contact us today to find out how our fun approach to marketing can help bring your business to the next level of success.